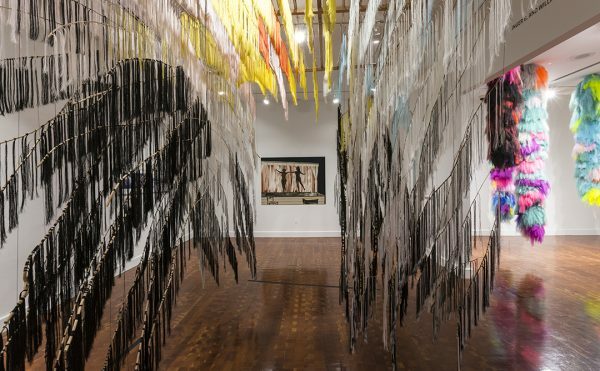 When Brazilian artist Sōnia Menna Barreto was a teenager in São Paulo, her mother used to stay up all night long playing cards with her friends. That memory sunk into Barreto’s consciousness, surfacing in a surreal series of trompe l’oeil paintings the artist has been creating over the last few years. 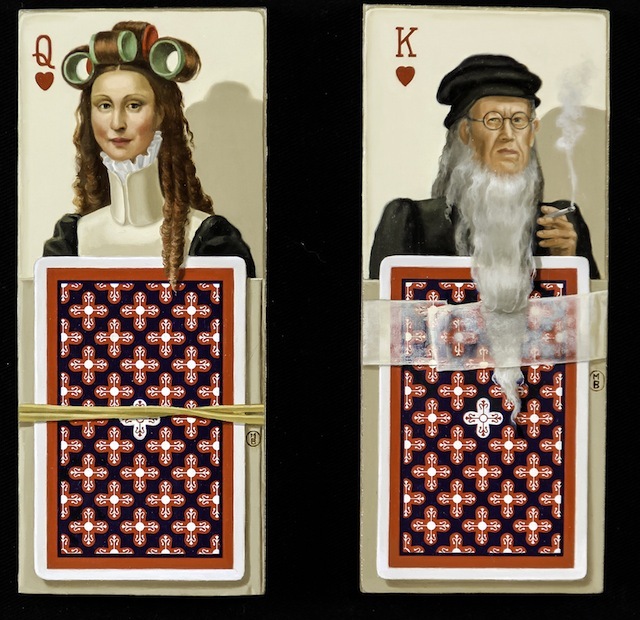 “Deck of Cards” (2011–2014) is an homage to the artist’s favorite historical couples. 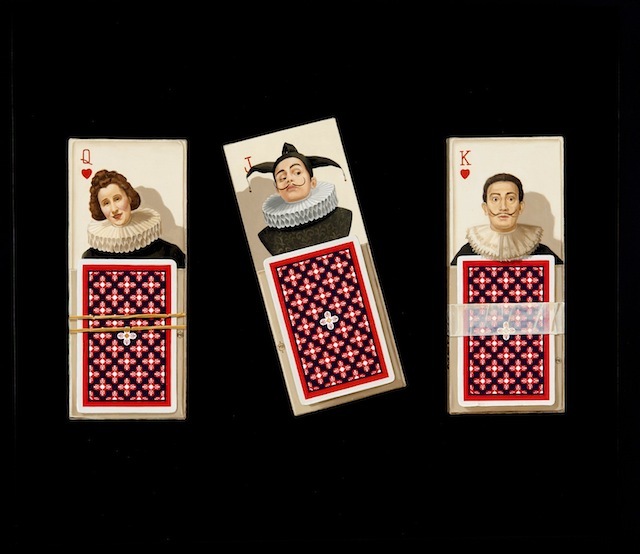 Instead of the usual tight-lipped kings and queens that stare from the backs of Bicycle playing cards, Barreto’s cards feature couples like Frida Kahlo and Diego Rivera, or Gala and Salvador Dalí — rendered with all the nuance of a vanitas painter. In one, Mona Lisa grins mischievously, her long ginger hair set in curlers. 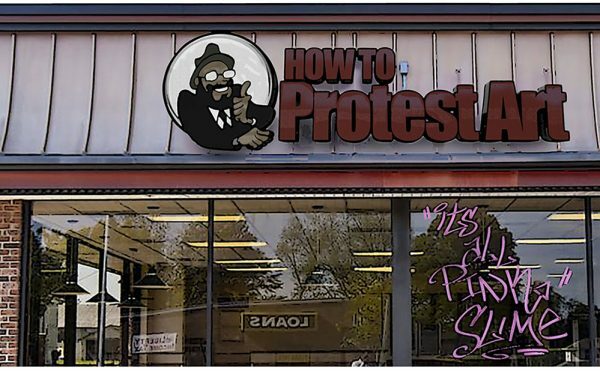 Beside her, a black-capped Leonardo da Vinci scowls with a cigarette in hand. 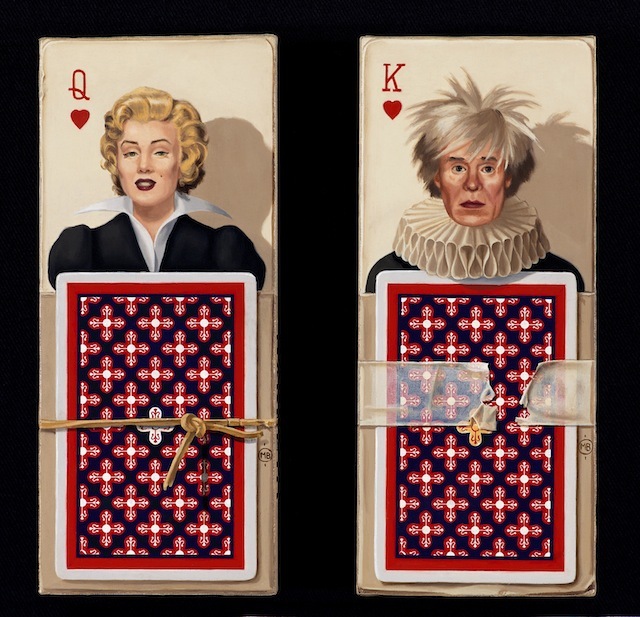 Andy Warhol and muse Marilyn Monroe appear in another diptych, posing uncomfortably in Elizabethean costume. Barreto has been painting since 1984, and in 2002, she became the first Brazilian artist to have an artwork (titled “Leonard Cheshire”) acquired by the British Royal Collection. Like her card game series, much of her work references other painters, paintings, and moments in art history. Like tiny ships in bottles, they are distant worlds of whimsy which — thanks to the artist — we are able to inhabit.